The urbanlight Whole Roll Project invites photographers to share the results of shooting an entire roll of film – warts and all. Sharing an entire roll demystifies the process, can help show the film-curious what the reality of shooting film is and also give you an opportunity to discuss your process of shooting, developing and choosing photographs that are worth sharing and why you cull those that you believe are not. Ah I see, I’d be an educator… So who can submit? Any photographer, anywhere, using any camera, any genre, utilising any traditional photographic technique. All film formats are great. A whole pack of instant film also great. And please don’t think I’m only after urban shots, any theme is good. The idea is to share a whole roll and give us some insight into the photographer, equipment, technique, location, or any combination of these. So how can I submit to this madness? Details of what camera and film you have used. Details of how you scanned or printed the film. Some sort of digitised record of your whole roll. 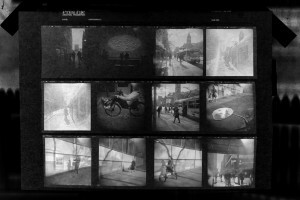 This can be a guerilla scan of your negatives, a backlit shot of your contact sheet, or a scan of your negatives. This pic should be approx 1200px on the longest edge and have minimal photoshopping, we need to be able to see the difference in exposure between the frames to compare against your final scans. Scans of “each” frame from that roll. When I say “each” please don’t think you have to include every frame, but you are welcome to. Remember we want to see the disasters as much as we want to see the winners. This project is as much about the process of capture, develop and scan/print as it is about sharing good photos. 500-800px wide at long edge is all we need here. Please number your files so they match the order shot on the roll. Information about you: Contact details, websites, facebook pages, twitter, anything to help people see more of your work. Of course how much info you submit for each of these things is up to you and will vary on the camera/film you’ve used. Feel free to bombard us with technical information, or be as minimal as you like. You can be funny, people like funny. Once you’ve got all that sorted, get in touch or just send your stuff across. You can see all the Whole Roll Project posts here . Sounds good, Ziz. Are you looking for strictly urban photography, or any style? Oh no, definitely not only urban, the idea is to be as diverse as possible, in style and equipment. Thanks for the comment, I’ve updated this page to better get that point across. Stumbled on your site while looking for places to get film developed. 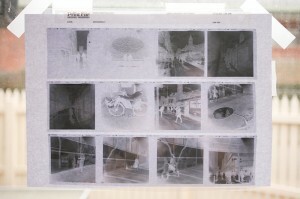 I think the warts & all whole roll project is a great idea – have you seen the Magnum contact sheet book? Fantastic to see all the misfires surrounding iconic photos. Hi Luke, thanks. Yeah the Magnum book was one of the inspirations (things I copied) with the WRP. I tend to learn from mistakes, and showing how the shots in a roll worked and didn’t can possibly also give people are more realistic idea of what it’s like to shoot certain styles, or with particular pieces of equipment. The response has been encouraging so far with a few more entries already in the pipeline. I hope the melbourne film photogs guide helped you find what you were after. oh .. this makes me want to pick up a camera again!! Great idea. Looking forward to doing it very soon. I love the layout of this site! Looks good, quality images and I also like the addition of comments by the photographers. Has this project been abandoned? We have something similar on flickr and the group, although a small group with a few dedicated contributors, is still going. Layout is not as sophisticated as this site, of course, after all it is ‘just flickr’, and it may be more ‘just for fun and for the love of film’. The group’s rule is to shoot one roll in one day and the contact sheet showing all frames has to be uploaded in a dedicated monthly thread, with selected images in the pool. Hi Cecilia, thanks for the message. Whole Roll Project not abandoned, is anything ever nowadays.. Your flickr group is a good idea.